Last term, as part of Learning Services quality framework, we undertook a full evaluation of the 1-2-1 academic skills support sessions we provide to students. We provide a number of mechanisms for students to access support, these include sessions embedded within the timetabled curriculum, on-line help and on-line workshops, Steps to Academic Success workshops which are delivered across the term, and 1-2-1 appointments. Curriculum based sessions – this academic year we have delivered 210 sessions to 6,842 students. Evaluation of group sessions is very well established in Learning Services and we regularly use feedback to help us reflect. Examples of improvements following feedback include improving the relevancy of inductions sessions, changes to the days and times of day we delivered Steps to Success sessions and access to help and support using virtual tools. However, we have not previously evaluated the 1-2-1 sessions we deliver. In early December 2014 we contacted all students who had attended a 1-2-1 session and asked them to anonymously complete an online survey, with a focus on whether the support they received was effective and has helped them move on with their studies. The survey was short, just 6 questions but with opportunities for students to use free text to tell us changes they have made since accessing support and if the structure of the session was useful. My planning of assignments is better. This is reflected in my marks as they are getting better. The short survey has provided some valuable feedback around what the students liked and disliked (which was mainly around the booking process, turnaround time and location of where the support was held) and this feedback will also help us as we manage expectations in terms of support and also make the other mechanisms of support we provide more accessible. 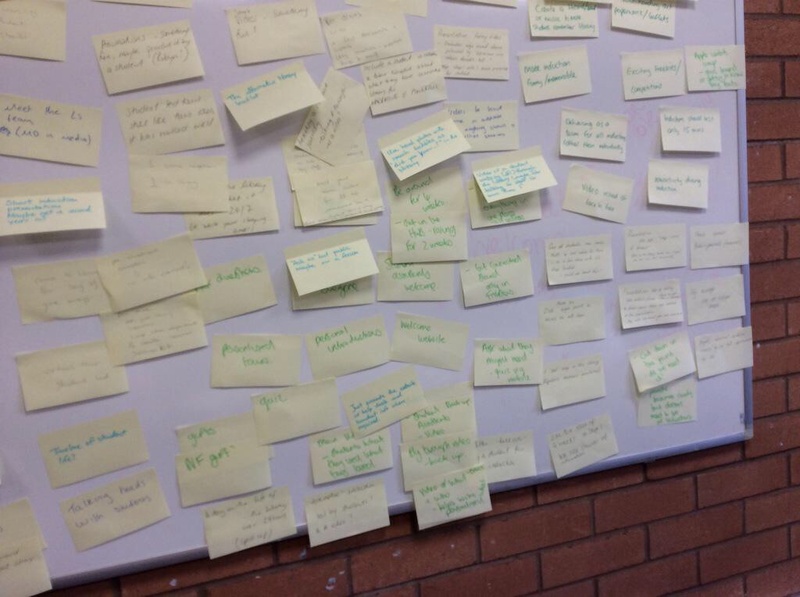 This was the first time we have undertaken this form of evaluation, however this will now form a key part of gathering feedback and the process will be repeated at the end of April 2015, when we will contact those students we have supported via 1-2-1 in the Semester two time scale (January 2015 – April 2015). 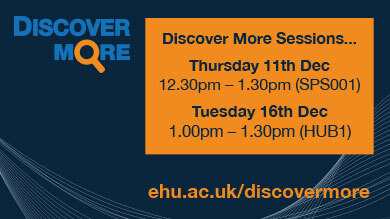 Come and see our librarians to get some helpful advice and tips for using the discovery tool. We have produced a handy guide but if you would like to find out more, or ask questions and see how you can search more effectively and locate the full text, we are holding a couple of sessions in the run up to the Christmas break. 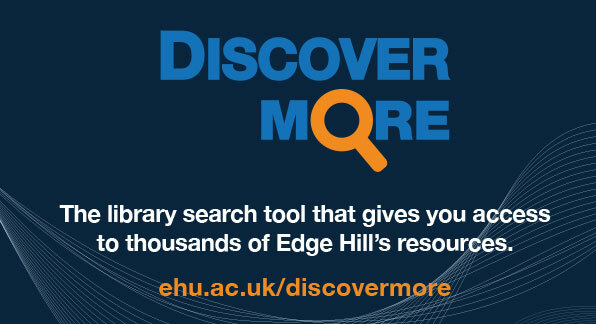 Just pop in at and see us at one of the events or you can get help with eResources everyday from 9.00am – 7.00pm (Monday – Friday) at the Ask desk. 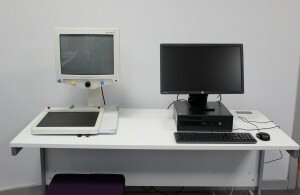 Learning Services has a newly developed space which provides access to a range of assistive technology to support all learners. 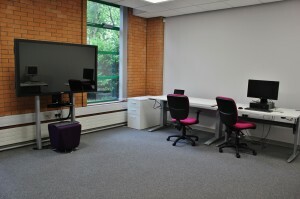 The new space provides an inclusive environment with space for working individually or in pairs. The space is also bookable. The room has full wheelchair access. The room is bookable via the Learning Services room bookings panel in your subject resources tab in Learning Edge or via GO. Bookings can be made for up to 3 hours. We are looking forward to providing a warm welcome to new (and returning!) 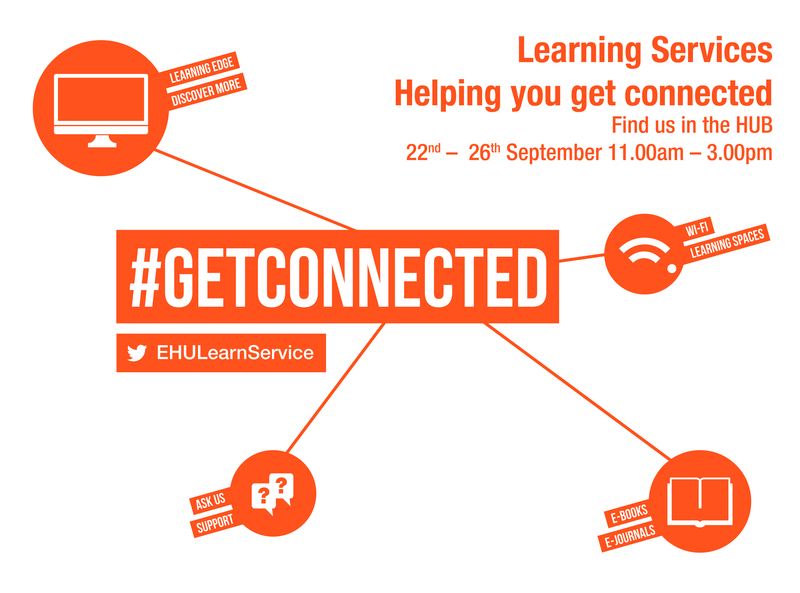 students and week commencing 22nd September will see the return of our successful Get Connected activities in the University library and Hub. Last year we welcomed 353 students for tours at the University library and just over 1,000 students came to see us and asked questions at the Get Connected stand in the Hub. The activities are a great way for our staff to meet new students and take the help and support to where they need it. We have some fantastic freebies to give away including a cotton bag which helps promote our twitter handle @EHULearnService – this is one of the newest ways that students like to connect with us. 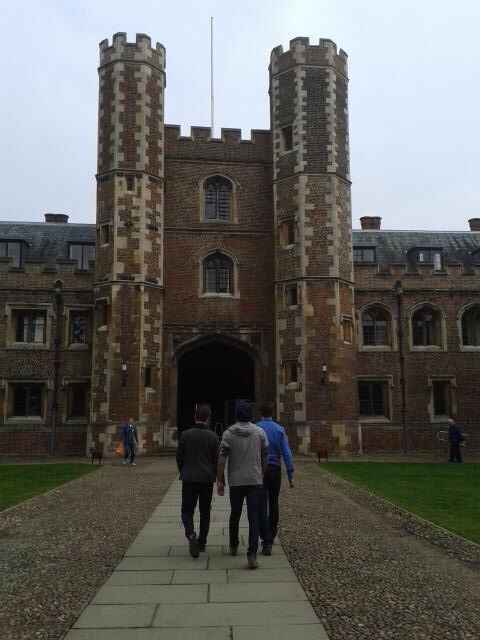 This same week there are also student led library tours everyday 11.00am – 2.00pm in the University library. The library tours are every half hour (last tour at 1.30pm). Please encourage your students to come along! What are your views about library charges? We are currently exploring how we can improve our offer in terms of students/staff borrowing from the University Library. Our aim is to have a more flexible service, and to minimize charges. We are keen to hear your views about our fines and renewals policies. We have a really short survey which if you could get involved and complete, will help us review how we manage loans of our materials. It takes about 1 minute!. If you would like to join us for a focus group, you can leave your details at the end of the online survey. We are offering a number of sessions in April which we hope will support and development staff skills in terms of using technology. There are two sessions within our Digital Practitioner strand, including a session around using tools within Campus Pack to develop students portfolio skills. All session within the Developing Digital Excellence programme can be booked via the HR Staff Development booking system. You can view our programme and plan your session for the next few months by using the booking system. All sessions are held in the ICT training room, 2nd floor, LINC Building. Have you noticed anything different?…..
Have you taken a look at the new Learning Services web pages.? We launched our new pages on Friday 7th March using the new WordPress template, which is now used by many areas and departments across the University. The new templates and widgets, which have been developed by our colleagues in the Web Team, offer us a much more flexible approach to both management and content. We have worked collaboratively with colleagues across Learning Services and IT Services to bring these changes and new styles to our site and we hope you like them. We have already had some great feedback about these new streamlined pages but welcome any comments or ideas for improvement, please get in touch.